A convenient and easy clip on! Some outdoor activities like gardening, hunting, fishing and hiking call for portable mosquito protection with hands-off appeal. The Terminix ALLCLEAR SideKick Mosquito Repeller Kit provides just that using a convenient and easy clip on feature that doesn&apos;t require topical application of sticky, messy sprays and lotions. The Terminix ALLCLEAR SideKick Mosquito Repeller Kit uses fan-based diffusion technology to circulate 100% safe, non-toxic, all-natural ingredients like lemongrass, cinnamon, peppermint, and geranium oils to quickly and effectively repel mosquitoes and other biting insects for up to 18 hours. 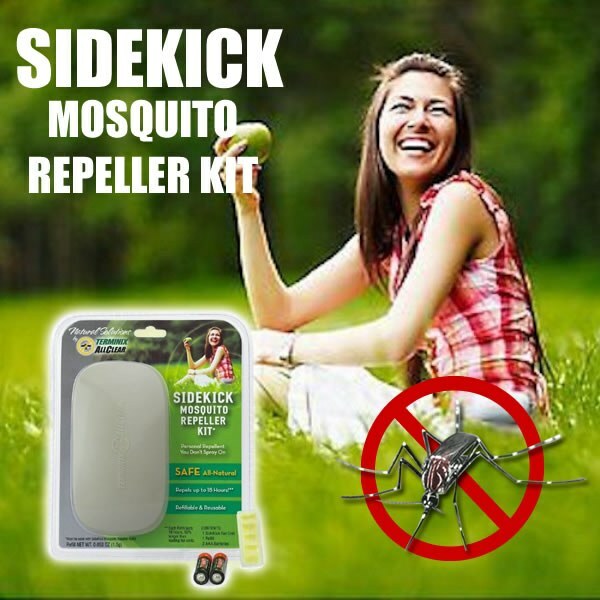 The ALLCLEAR SideKick Repeller has been proven to be just as effective and last up to 4 times longer than chemical brands so there are absolutely no drawbacks to this method of method of mosquito control.